The no obligation telephone consultation service applies to both residential and business customers in the South London region. No South London wasp nest removal job is too large or too small for us to take a look at. Where appropriate we are able to advise on any urgent steps required to safeguard your health, property or possessions prior to a visit. 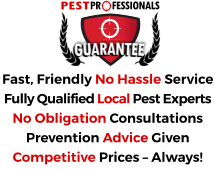 If a site visit is needed we let you know if there will be a call out fee and also advise on the probable costs of any insect treatment should it be called for. The common wasp lives in colonies which develop throughout the summer and can create serious alarm when present in greater numbers or when colonies are nearby humans. Many thousands of wasps can serve a single queen and commonly their nests are concealed in hard-to-reach areas, in some cases underground or in cavities in properties of loft spaces. Wasps respond in a hostile manner to being disturbed and can attack in swarms in this situation and are most likely to inflict a painful sting, which may be life-threatening to those with allergies. Without a doubt a sting in the throat can be fatal. Under no circumstances should anyone but a qualified pest controller try removal of a wasp nest. This is rarely an issue with wasps, which have a black and yellow abdomen pattern, black head and thorax, six legs and heavily-veined wings. An adult wasp is much the same in size to a worker honey bee at 12-15mm in length. Queens are larger, at around 20mm. Hornets are larger than wasps at 20-30mm. Wasps are black and yellow with little hair, whereas hornets are more usually chestnut brown and yellow with some hair. Wasps usually tend to feast on food waste and sugary substances and some insects, and can swarm when provoked. Hornets mainly feed on insects and do not swarm. Wasps are quick to sting and can sting repeatedly, and are commonplace in late summer. Hornets usually sting only when provoked and are seen between May and September. Never tackle a wasps’ nest by yourself. Wasp nest removal must only ever be tackled by an experienced and qualified pest controller who has the right protective clothing and the appropriate professional strength extermination products. One visit is commonly enough to exterminate a wasp nest colony. If you are in need of a wasp nest pest controller in South London – speak to us. 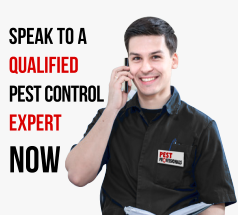 We provide pest control services in London throughout the year and can usually provide a qualified wasp pest control technician same or next day anywhere in the Greater London area. In many cases our Nottingham wasp pest control service is fully guaranteed. We cover a wide belt for South London wasp nest eradication, from Dartford to Twickenham, Brixton to Caterham and Redhill.